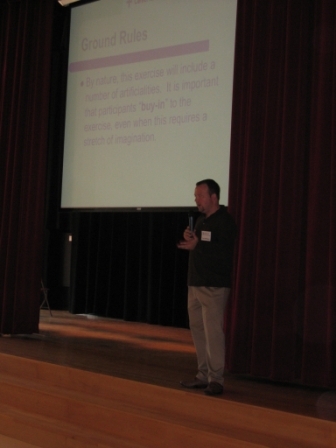 This drill, which took place September 12, 2009, involved seven communities (Dedham, Wellesley, Norwood, Westwood, Canton, Milton) and was held at the Gateway Center in Wellesley. We set up and simulated a Mass Vaccination Clinic. Paul Biddinger from the Harvard School of Public Health facilitated the drill. 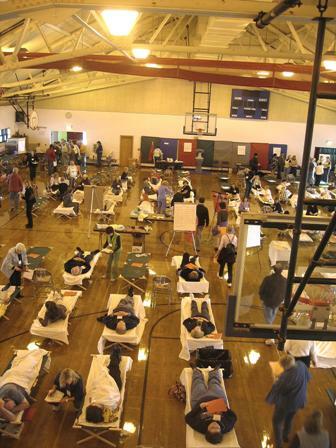 This drill, which took place October 13, 2007, involved seven communities (Dedham, Wellesley, Norwood, Westwood, Canton, Milton) and was held at the Norwood Civic Center in Norwood. We set up and simulated an Influenza Specialty Care Unit with the Norwood Hospital. Paul Biddinger from the Harvard School of Public Health facilitated the drill. This drill, which took place on September 9, 2006. involved seven communities (Dedham, Wellesley, Norwood, Westwood, Canton, Milton) and will held at the Norwood Civic Center in Norwood. We will set up and simulated an actual Influenza Specialty Care Unit with the Norwood Hospital. Paul Biddinger from the Harvard School of Public Health will facilitate the drill. If you would like to attend as an MRC Volunteer, please contact the Health Department. This drill involved seven communities (Dedham, Wellesley, Norwood, Westwood, Canton, Milton) and was held at the Broadmeadow School in Needham. We set up and simulated an actual dispensing site. Paul Biddinger from the Harvard School of Public Health facilitated the drill. It was a great success and we appreciate all who participated.